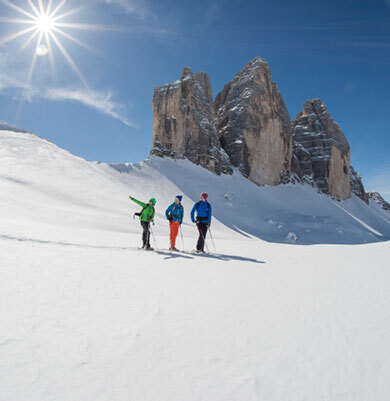 The winter in the holiday region Tre Cime convinces with guaranteed snow, a romantic winter landscape, perfectly groomed slopes and rustic ski huts. 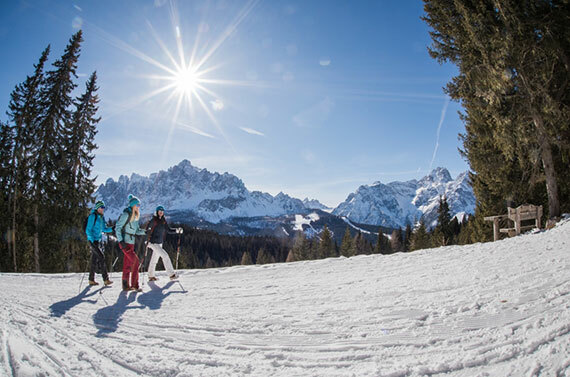 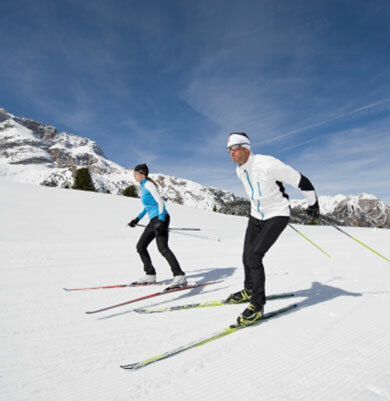 Walks or snowshoe hikes in snow-covered valleys and in lofty heights, a large network of cross-country trails and natural toboggan runs will delight the active vacationers. 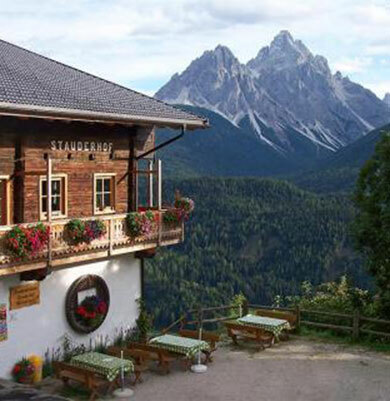 You will find relaxation in the public adventure pool Acquafun in the centre of San Candido with a large water slide and a beautiful sauna area, as well as a fitness studio. 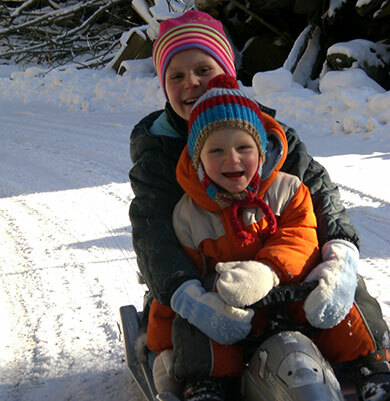 As our guests, you will receive greatly reduced admission fees. 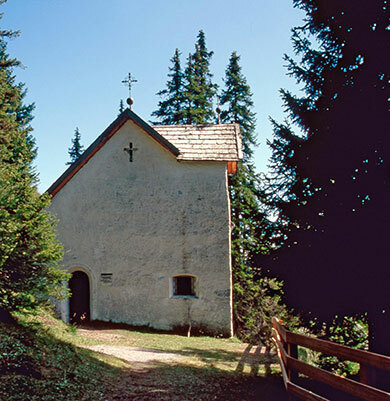 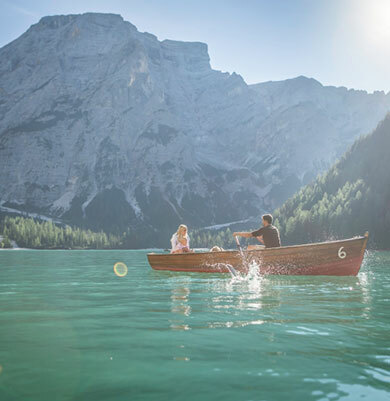 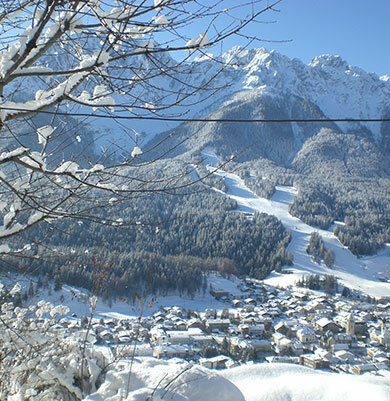 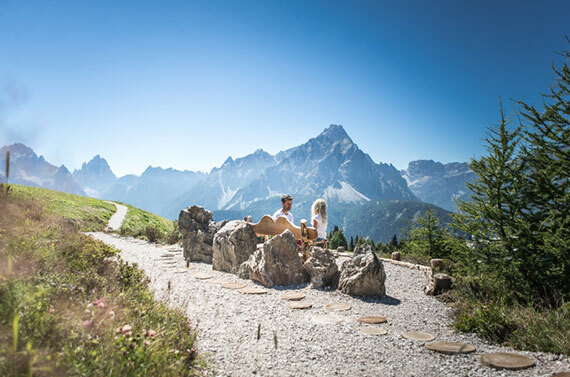 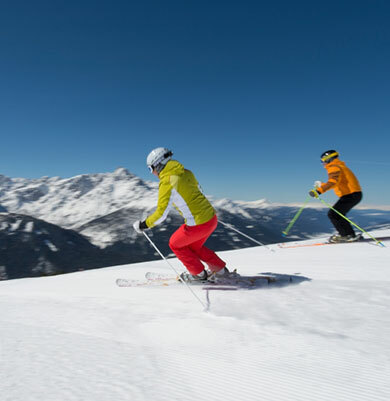 San Candido in Alta Pusteria lies in the heart of the Dolomites Three Peaks holiday region and is considered as an ideal starting point for your holiday in the natural paradise par excellence. 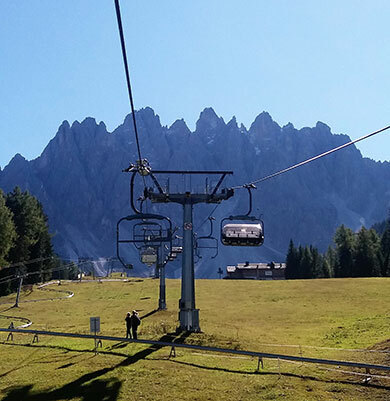 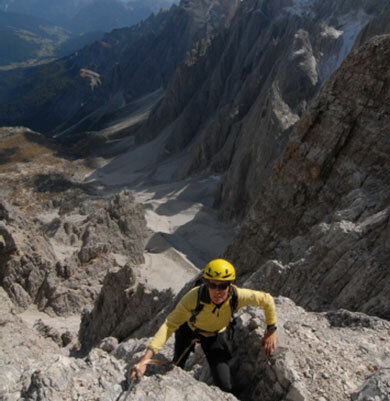 Hikes, climbing routes and summit storms in the famous Dolomiti di Sesto fascinate nature lovers in all levels of difficulty. 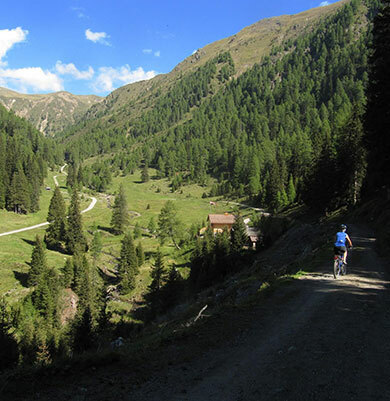 On the many bike paths, you can take leisurely tours, for example to Lienz in Austria on the famous path along the river Drava. 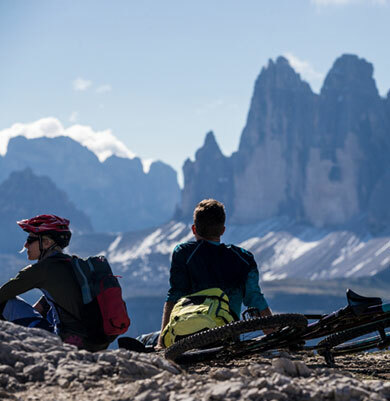 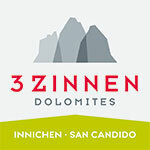 Mountain bikers are looking forward to demanding tours in the Dolomites.